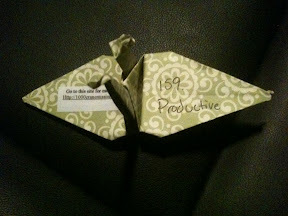 In the spirit of New Years Resolutions, I've decided that 2011 will be a productive year. Did you make any resolutions for 2011? Do you not believe in resolutions at the start of a new year? 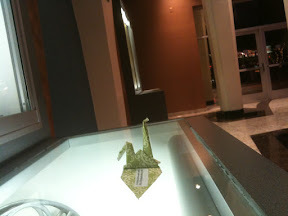 I really like the paper used for this crane. I hope someone finds some more soon!